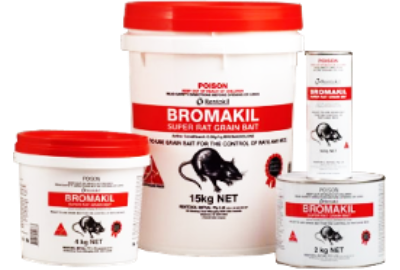 Grain based rodenticide. 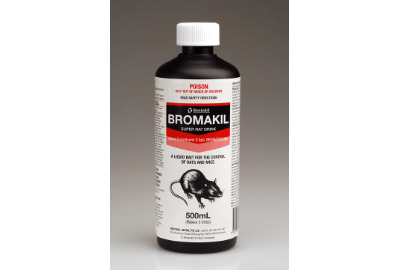 Highly palatable cracked grain for rats and mice. 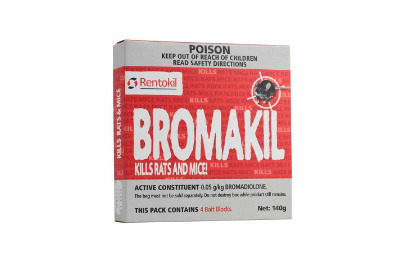 The active ingredient of the Bromakil Product is Bromadiolone, a second-generation anti-coagulant developed to overcome the problem to some other rodenticides. 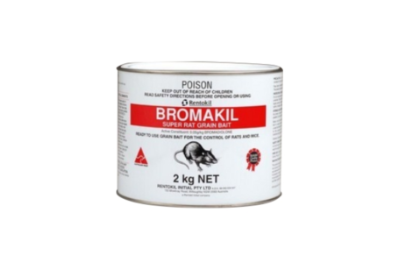 Grain based rodenticide. 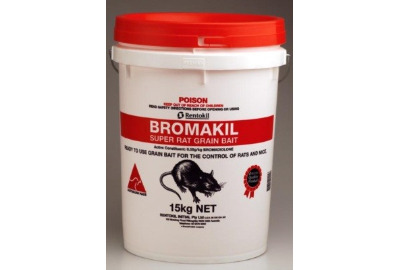 Highly palatable cracked grain for rats and mice. 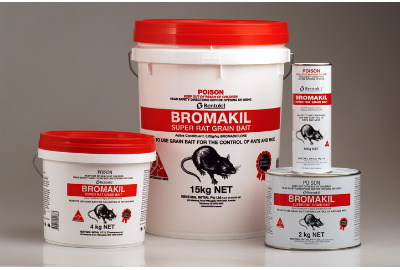 The active ingredient of the Bromakil Product is Bromadiolone, a second-generation anti-coagulant developed to overcome the problem to some other rodenticides. Pack sizes: Size: 500gm, 2kg, 4kg, 15kg. Contains 0.05% Bromadiolone. Mix 1:10 with water before dispensing. 500ml makes 5 litres. 5 litre bottle makes 50 litres. Baiting strategy: Eliminate as far as practiciable, all alternative drink sources. 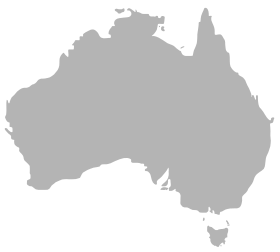 Place approximately 150ml of prepared bait solution in non-corrosive containers in sheltered position near rodent entry points. Inspect daily. If taken quickly, increase number of baits. Continue observation and replenishment until no more bait is taken. Baiting for at least two weeks is necessary to reduce rat/mouse numbers.